PC shipments have hit a new low, posting the steepest decline ever seen to date. Worldwide, a total of 76.3 million PC units shipped in the first quarter of 2013, down 13.9 percent compared to the same quarter in 2012. The latest figures come from IDC, which noted that they constituted a milestone of sorts for the company. Not only did this past quarter mark the fourth consecutive quarter of year-on-year shipment declines, but the year-over-year contraction was the worst quarter since IDC began tracking the PC market quarterly in 1994. This is by no means a regional issue. Although the global economy has slightly improved, and some new Windows 8 computers have hit the market, PC shipments were down “significantly across all regions compared to a year ago,” IDC notes. What’s the reason for the terrible quarter? The same as before. The world is all about tablets, tablets, and more tablets (in fact, the figures would hardly be as bad if Windows 8 tablets were included in IDC’s figures). So what are these “other competitive devices” that O’Donnell is referring to? 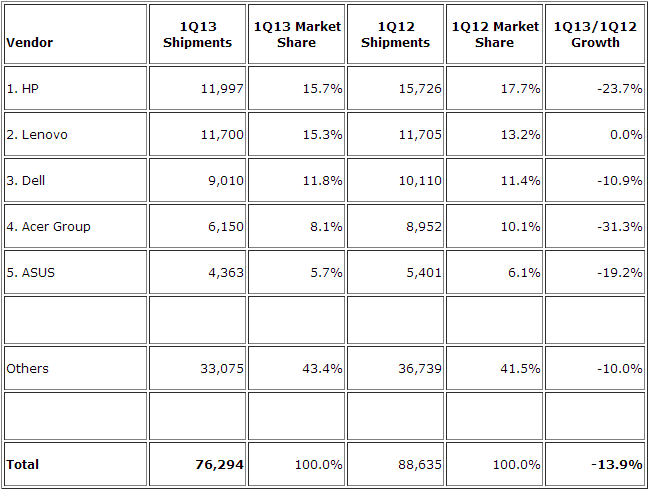 Well, IDC says “mini notebook shipments” (read: netbooks) are fading, hurting the low-end market. Replacing them are tablets, but also smartphones as consumers choose those to spend their dollars on those mobile gadgets over the traditional PC. Yet Windows 8 is hardly the main one to blame. 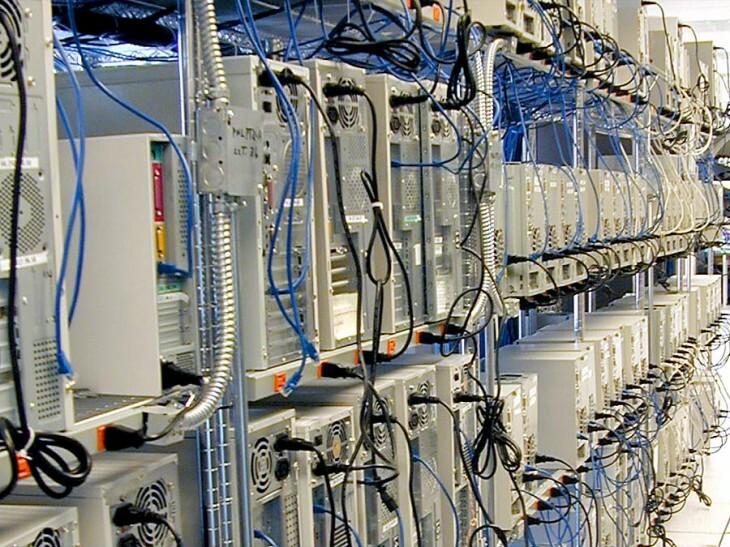 IDC also underlines “the restructuring and reorganizing efforts impacting HP and Dell”. For those who don’t know, those two are the world’s number one and number three OEM manufacturers, respectively, each with their own slew of recent problems.